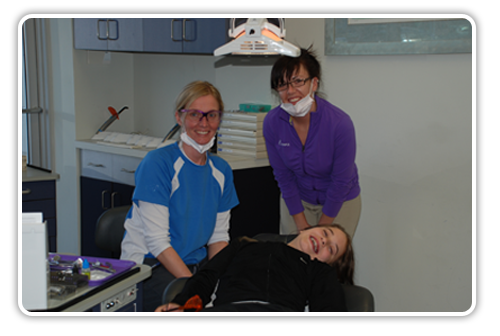 Our staff members have been helping our patients achieve healthy and beautiful smiles since we opened in January 2003. They are keen and well trained in their respective areas, and put a great emphasis on staying current in orthodontics by attending courses, reading journals, and being active in numerous professional associations. While each of our staff members came to us with many years of experience in a rich variety of orthodontic backgrounds, they work collectively to create an outstanding patient experience. They also love to have fun! Our staff tries their hardest and is committed to providing the best service possible. Meet the staff at Capital Orthodontics! 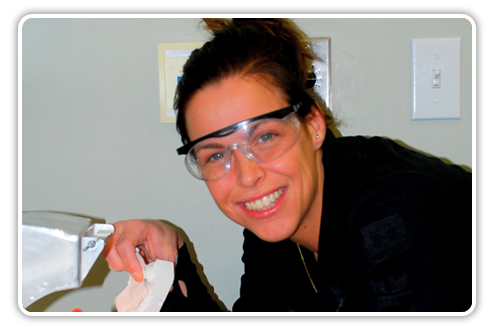 Here's our lab technician Sindy who has 17 years of experience. She takes pride and care in her work to provide quality service. Several of our staff members are receiving orthodontic treatment themselves! 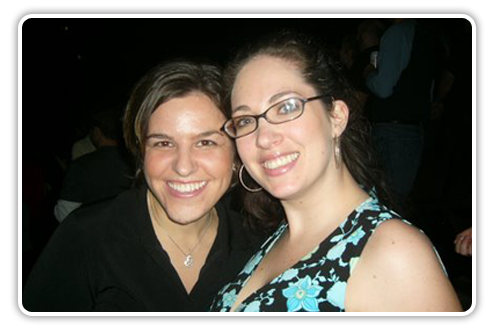 Sindy (left) and Susan (right) are wearing their orthodontic Invisalign braces in this photograph. 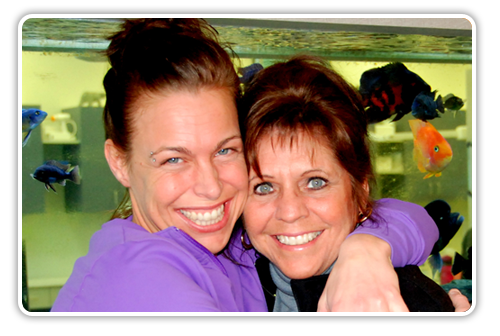 Here are Jen and Val, two of our dental hygienists. We're here to provide you with the best possible care to keep you smiling!